So, you have decided you want to hire a Wedding DJ. This task is not as easy as you might think. 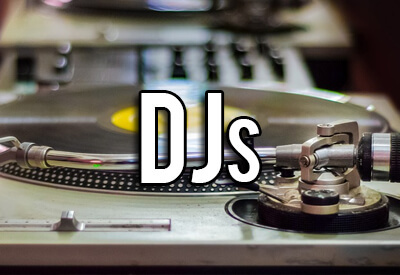 Sure, you will find hundreds of DJs listed in the Atlanta area, but that doesn't mean they are all good and that doesn't mean they are DJs you would want at your wedding. There are different kinds of DJs, not all of them specialize in weddings. You will want to take your time and sit down with potential wedding DJs to get to know them a bit and to ask them some very pointed questions. Then you can decide who is going to represent you at your reception on your special day. Below are questions you absolutely must ask any potential wedding DJ if you truly want the best fit for you and your guests and if you want your wedding reception to be memorable. Obviously, the first thing you want to bring up is your wedding date, time, and location. If a potential DJ doesn't have your date open on their schedule, then the conversation doesn't have to continue other than you might ask them if they have any recommendations. The the date is open, make sure that the person you are speaking with is the actual DJ who would be performing at your wedding. If the person says that they are just a booking agent for a DJ company, then tell them you want to speak with the DJ that you would be assigned. If you don't do this, you are leaving things up to chance and could be very sorry in the end. As you are speaking with the candidate, ask yourself if they seem like a serious professional. You want to be sure that you are one of their top priorities. The last thing you want is someone who just does it as a hobby and couldn't really care less if your reception is the best it can be. With this in mind, ask them for references from previous clients that have performed for. You will want to call these references and get a sense of how things went at their event. People are usually very willing to help in this way. Experience is a very important factor when it comes to being a successful and polished DJ. 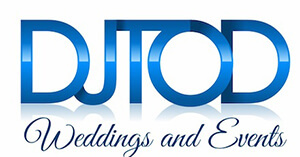 Ask how long they have been in the business and specifically, how many weddings they have done. If the person is really inexperienced, it could be a very rough road for your reception with all of the various activities and other vendors to work with. Make sure the DJ uses professional equipment, this may not mean a lot to you, but it will if this isn't the case. Talk to the DJ about how they will be involved at your reception other than just playing music. If you want them to also be a type of emcee, ask them about their style and how they would handle your guests. Ask them for a sample itinerary they have developed for a wedding and then discuss specifics about what you had in mind and make sure they listen carefully and take your ideas into account as they respond. Discuss the playlist and how much input they allow you to have. Are they willing to meet prior to your event to discuss the music selection and your likes and dislikes? If not, they are not worth considering. Lastly, make sure there is a written contract made up for the one you are interested in and that all responsibilities for both parties are spelled out. If you hire the a professional wedding DJ that really cares, you should be able to sit back and enjoy the show.